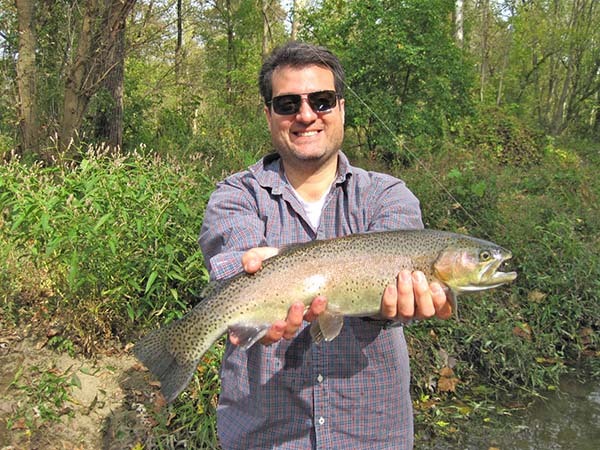 Apple Creek at Grosjean Park in Wooster has been stocked with rainbow and brown trout starting in 2005. 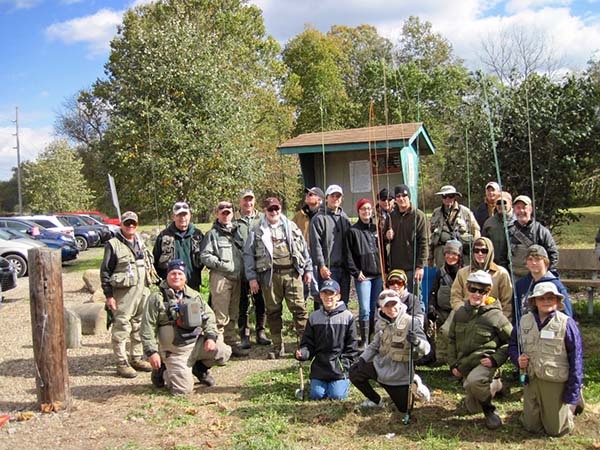 Since 2012, the October stocking has been coupled with a free fly-fishing clinic for novice and beginner anglers. 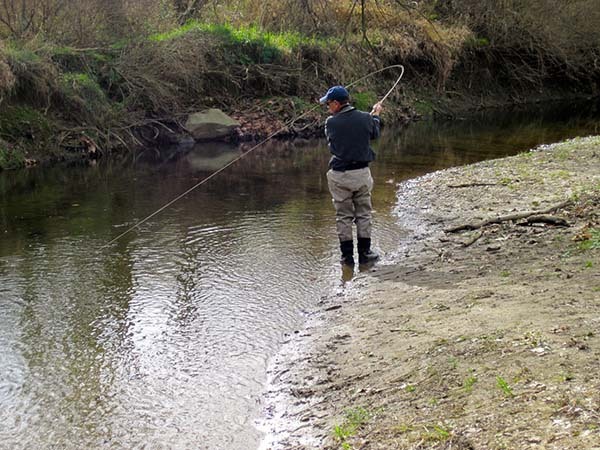 Prior to the clinics, the stream is stocked with large brown trout and rainbow trout. 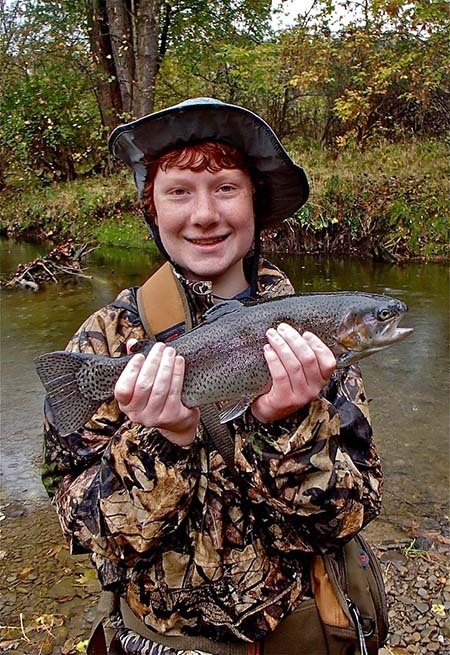 The cost of purchasing trout is from an Outdoor Education Grant provided by the Ohio Division of Wildlife, funds from the City of Wooster and the CFRTU chapter. The clinic is open to adults and kids 10 years of age and older. A parent or responsible adult must accompany kids under 16. 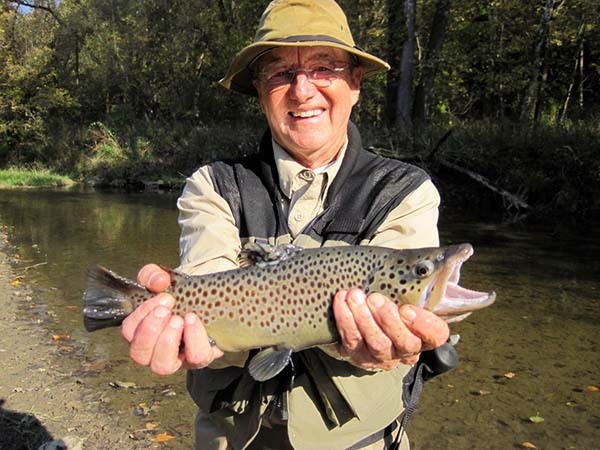 Those 16 years and older must possess a valid Ohio fishing license. We encourage family members to participate. The clinics are held from 1 until 4 p.m. on Saturday and Sunday afternoons. There is a limit of 20 participants for each clinic. 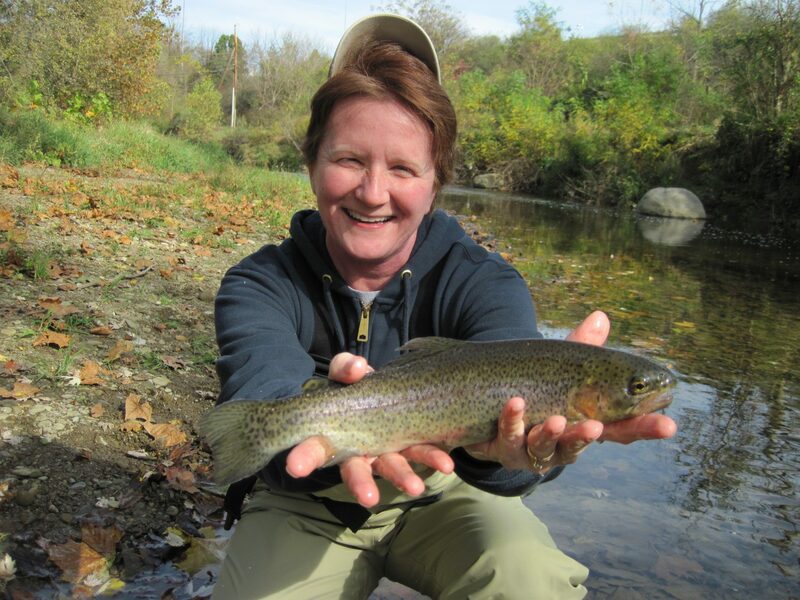 The clinics will familiarize participants with fly fishing tackle and flies, how to cast a fly line, fish a fly, and to hook, play, land and release trout safely back into the stream. 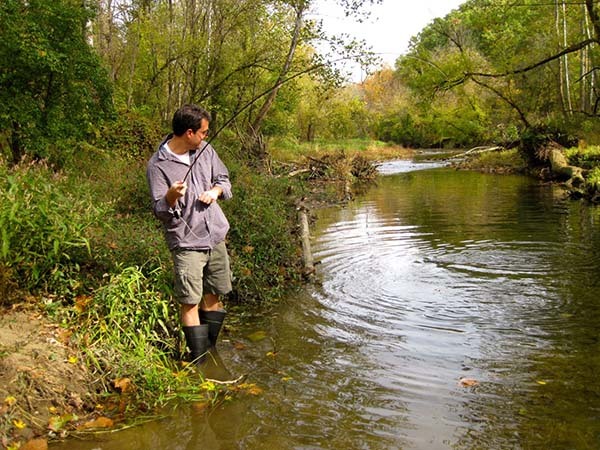 Fly fishing tackle, flies, and waders are provided for those who need them. Instructors are experienced fly anglers from the CFRTU chapter. All fishing is Catch & Release to help sustain the fishery. Look under Home Waters, Apple Creek for a map showing how to get to Apple Creek and Grosjean Park. 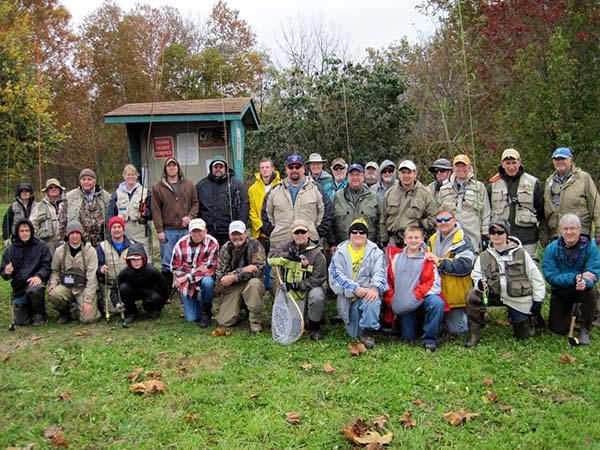 New fly anglers and their instructors gather around Grosjean Park kiosk prior to fly fishing clinic. 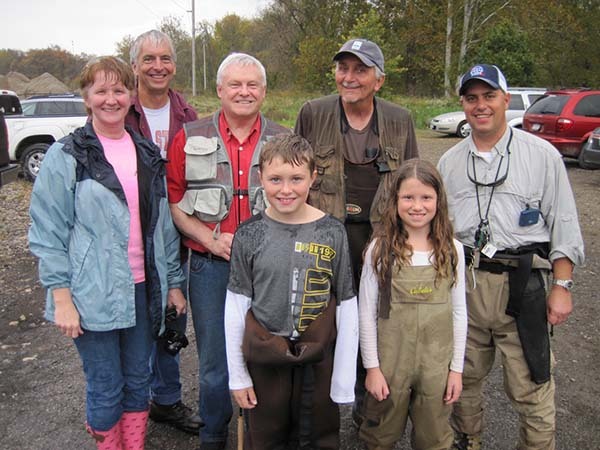 Another group of novice fly anglers meet up with their gillies prior to a fly Fishing clinic. A group of novices ready to go out and fish with their gillies. First ever trout on a fly rod for this new fly fisher. 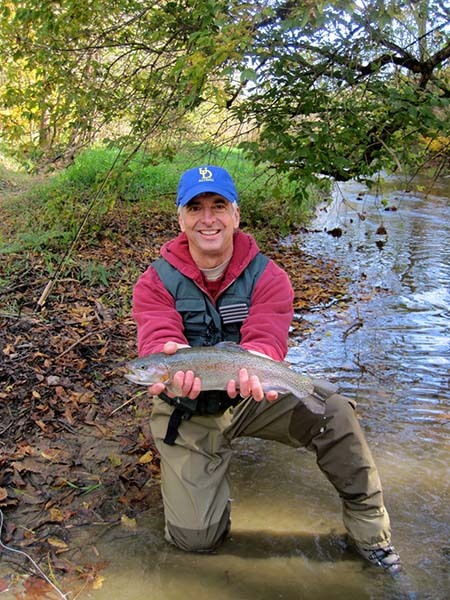 ... and this is a steelhead-sized rainbow trout. All smiles! That is one big rainbow! 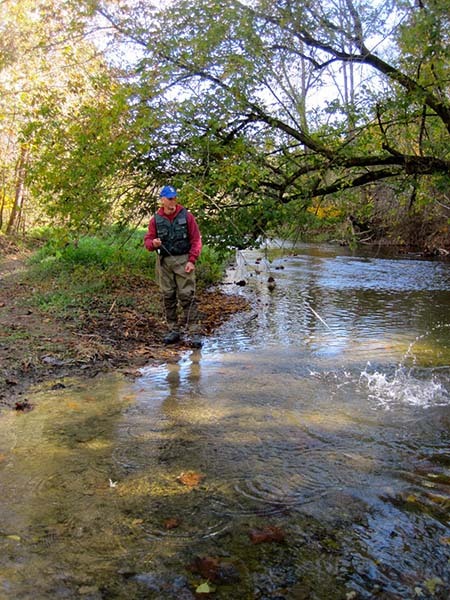 Deep holes in Apple Creek hold the biggest trout. A happy kid with his first trout caught on a fly. A big brown for this novice at a fly fishing clinic. 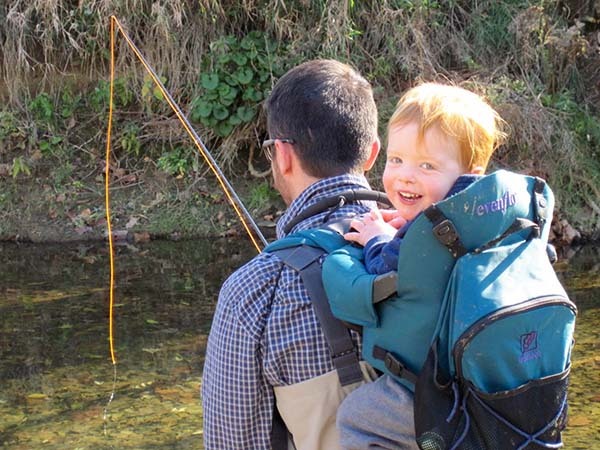 You cannot start fly fishing too young this little guy will tell you.